The reason for going to trade shows is to get your product or service in front of your specific target audience. Usually people that pay to attend a tradeshow are looking to learn some information. The obvious difference is that you get to speak directly to a person. You get to vocalize the values and benefits of your product or service. You have the opportunity to humanize what you are selling. This is a unique and strong interaction that is usually more effective than a direct mail piece or a printed ad. The marketing you do beforehand needs to aim at driving leads to the booth. Let them know why they need to include a stop at your booth in their scheduled show activities. Engaging them in person at an event is a fantastic opportunity for you to gather information about your prospects and to gain new customers. Tell them you'll be there and then tell them why they'll be missing out if they don't see you there. When heading out to a trade show, whether near or far, it is always a good idea to let your current leads, prospects, and customers know. This is a great excuse to nudge the customers that haven't bought in a while or a great opportunity for a lead to come out and meet you and see what you have to offer. So send your database a fun and compelling email about a " "secret" product that will be available to them soon or a contest that you will be running at the event. This will create fanfare for the trade show, loyalty from existing customers, and possibly a "re-interest" from a lead that just hasn't made the move yet. A good marketing strategy includes marketing a new product or service using as many channels as possible. A trade show will most likely be the crux of a new product or service release. It is a space packed with industry professionals, prospects and competitors. People will also come by and visit your booth because they are interested in the new product or service you are offering. How do they know this? Probably because you were able to showcase it by advertising in an industry magazine, or engaging them with a series of social media posts, or inviting them via email to come and check it out. 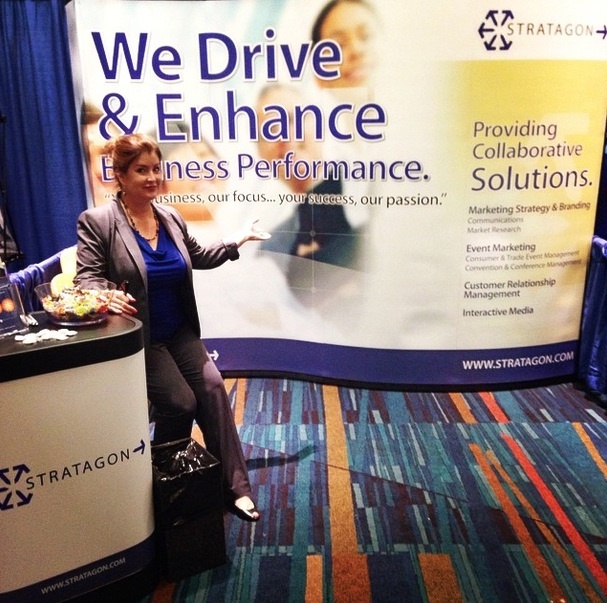 Why is it important to complete some marketing activities before participating in a trade show? To drive booth traffic, contact your existing database, and to showcase those new products and services before release. Engaging in those activities beforehand is sure to provide a greater opportunity to attract more leads to your booth and, with a little luck and a lot of hard work, convert them into paying customers. Download our Experiential Markerting Tip Sheet for Some Marketing Must Dos! Kassi Womeldorf is a Marketing Associate with an eye for detail and a love for inspirational quotes. She is a supporter of quality content marketing and an advocate for social media. Connect with her on Twitter and LinkedIn.